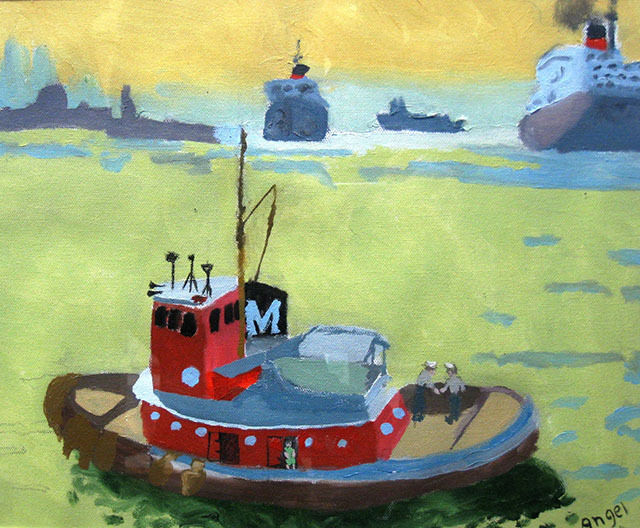 Bridgeport, CT- The Housatonic Museum of Art presents Astoria Park Residents’ Art Therapy Program Exhibition, a selection of oil paintings on view in Beacon Hall’s Community Gallery (3rd floor), Housatonic Community College, 900 Lafayette Blvd., from July 1 – August 22, 2014 with a reception for the artists Thursday, July 31st from 1:30 – 2:30 pm, free and open to the public. Beacon Hall is open Monday – Friday, 7:00 am – 11 pm. For further information, visit www.HousatonicMuseum.org or call 203-332-5052.